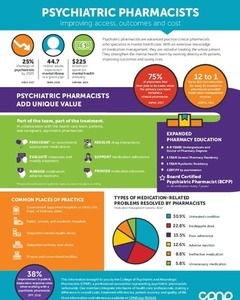 With $238 billion being spent on mental health each year and the growing shortage of psychiatrists, clinical pharmacists will continue to play an essential role on mental health teams. Discover the benefits of having a psychiatric pharmacist as part of the team in collaboration with the health care team, patients and caregivers by downloading these informative resources. Learn the educational path of a Board Certified Psychiatric Pharmacist, what roles they fulfill as part of the team, common places they practice and the types of medication-related problems they solve. Dr. Seth Gomez is a psychiatric pharmacist working for Alameda County Behavioral Health Care Services. 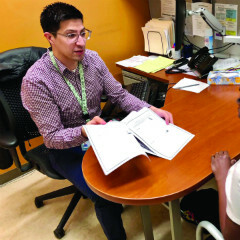 Find out how his work supporting primary care physicians in providing Medication-Assisted Treatment (MAT) services has brought patient care to another level.